401k By Age: Are You Saving Enough For Retirement? With the 401k maximum contribution limit rising to $19,000 for 2019, Americans have one of the most powerful pre-tax retirement savings vehicles today. Given the median household income in America is roughly $60,000, being able to contribute $19,000 is equivalent to saving 32% of your gross income each year. Unfortunately, the average savings rate in America is 6% or less. With pensions going away and Social Security underfunded by 25%, it’s more important than ever to rely on your pre-tax and post-tax retirement contributions. For perspective, the average 401k balance as of 1Q2019 is around $110,000 according to Fidelity’s 12 million accounts, thanks to an incredible 200% increase since the bottom of the financial crisis in 2009. Even so, $110,000 is an incredibly low amount given the median age of an American is 36.5. Further, the median 401k amount is closer to only $25,000. 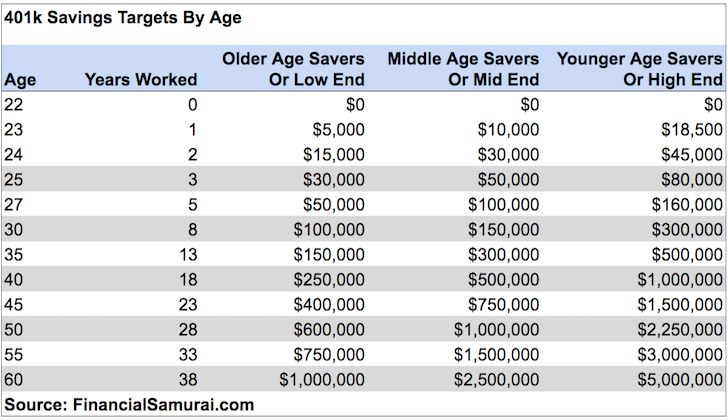 As an educated reader who is logical and believes saving for retirement is a must, I’ve proposed a table that shows how much each person should have saved in their 401k’s at age 25, 30, 35, 40, 45, 50, 55, 60, and 65 to live a comfortable retirement life. Remember, there is NO REWIND button in life. Save early and invest often. You don’t want to get to a point in your life where you no longer work only to find out that you don’t have enough to take it easy. * The Low End column accounts for lower maximum contribution amounts available to savers above 45. 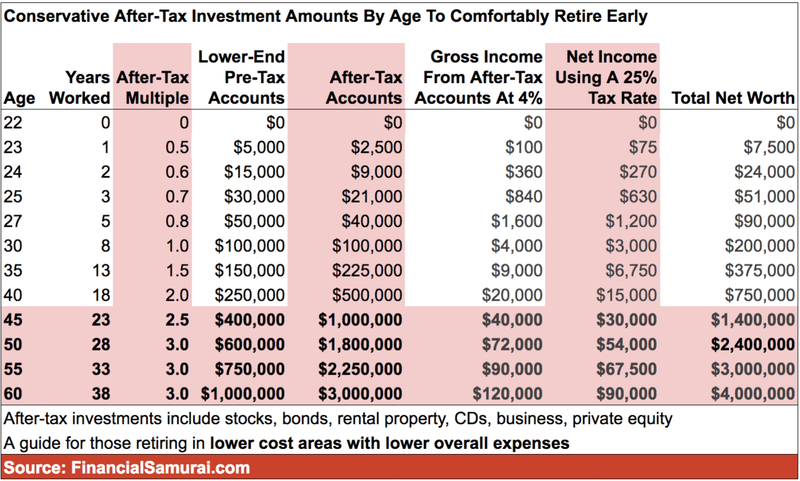 * The Mid End column accounts for lower maximum contribution amounts available to savers below 45. * The High End column accounts for savers who are under the age of 25. After the first year, one maximizes their contribution every year to their 401k plan without failure. * $18,000 is used as the conservative base case maximum contribution amount for one’s entire working life. The maximum contribution should go up about $500 every two or three years based on history. * No after-tax income contribution, although more power to you if you have the disposable income to do so. * The rate of return assumptions are between 0% – 10%. Over a 10 – 30 year period, this assumption is correct, despite the occassional recessions that provide negative returns. * The average company match is 3% of salary or up to $3,000 of salary. However, as of 2019, employers can now contribute up to $37,000 a year in company match or profit sharing for a total contribution of $56,000 a year to a 401k. From the results, we can see that even after 38 years of consistent saving, everyone should be a 401k millionaire, and have the purchasing power of a millionaire. 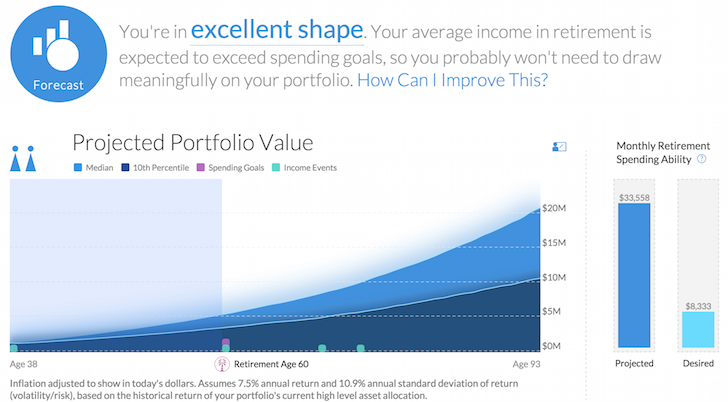 The most powerful force in retirement savings is compounding. As your amounts get larger, the returns get larger. If you’re just starting your 401(k) savings journey, you have a good possibility of achieving the high end column with consistent 8%+ annual growth and company profit sharing after 38 years. The average total annual return in the stock market is 10%. But it’s most likely that most people reading this article will should follow the middle-to-low end columns as a 401(k) savings guide. The median age of readers for this article is roughly 35 years old. Inflation diminishes the purchasing power of your money. In other words, a dollar today can buy much more stuff than a dollar 20 years in the future. As a result, you must get neutral inflation by at least owning your primary residence. Real estate inflates with inflation. Given inflation is generally up and to the right due to population growth and demand growth, real estate will naturally follow suit. It doesn’t make sense to short the stock market for decades. In the same token, it doesn’t make sense to short the real estate market for decades by renting. Homeowners literally have net worth figures 40X – 60X greater than the median renter. Investing in stocks helps get neutral inflation or beat inflation as corporate profits for many companies can grow faster than inflation. Just look at companies like Apple, Google, and Nike, consistently outperforming inflation and the S&P 500 index due to superior earnings growth over time. 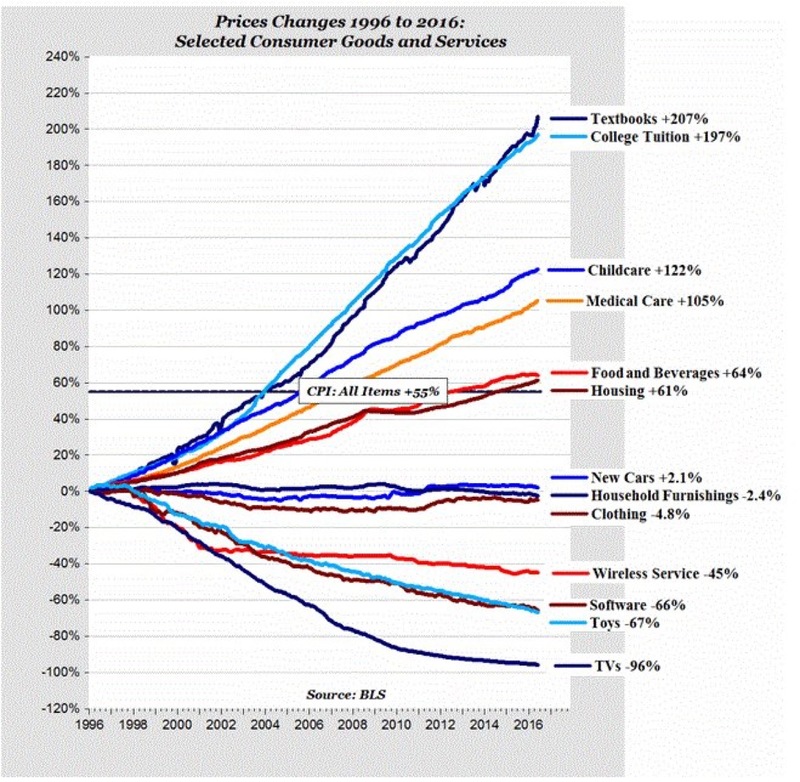 Then there is the incredible growth of healthcare costs that is the most worrisome for retirees. For example, I’ve been paying $1,750/month in monthly premiums for a platinum plan for my family of three, and we’re all in good health. Paying $21,000 a year in healthcare premiums can be crushing for families who want to retire early. Healthcare is one of the main reasons why it’s recommended to work as long as possible to take advantage of your company benefits. Take a look at this inflation chart from 1996 – 2016. Medical Care, Childcare, College Tuition are the most worrisome for those who plan to raise a family. To help grow your net worth, I recommend diligently tracking your net worth with Personal Capital, the #1 free personal finance tool on the web. Technology has come a long way since tracking our money by hand or with an Excel spreadsheet. Remember, what is measured can be optimized. Contribute the maximum pre-tax income you can to your 401k for as long as you work. This is the absolute MINIMUM you can do to help ensure a comfortable retirement. After you have contributed a maximum to your 401k every year, try and contribute at least 20% of your after-tax income after 401k contribution to your after-tax retirement accounts. Here is a base case scenario where a financially prudent household contributes to their 401k and after-tax accounts. You can no longer depend on Social Security and Pensions. The new three-legged retirement stool consists of You, You, and You. The third you is side hustles or finding a part-time job in retirement that you enjoy that also brings in some income. 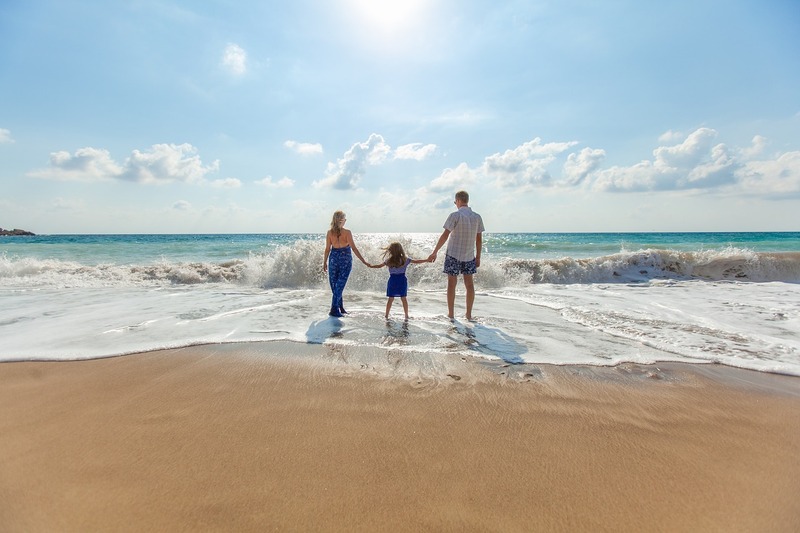 The more passive income you can bring in from your after-tax investments and the more you can bring in some enjoyable income in retirement, the better. After at least 10 years of consistent savings, you will be amazed at how much money you’ll end up saving. There is no sacrifice when you start experiencing financial security. Financial freedom is the best thing anybody can ask for! About the Author: Sam worked in investing banking for 13 years at GS and CS. He received his undergraduate degree in Economics from The College of William & Mary and got his MBA from UC Berkeley. In 2012, Sam was able to retire at the age of 34 largely due to his investments that now generate roughly $250,000 a year in passive income boosted by his investments in real estate crowdfunding. 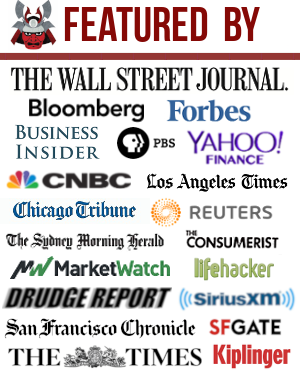 Financial Samurai was started in 2009 and is one of the most trusted personal finance sites on the web with over 1.5 million pageviews a month.